We will create an assortment of exactly what you want. Here are some of our favorites, all can be made Gluten-FreE. Gluten-Free brownie - our signature brownie and the best brownie you will eat. We offer a wide range of variations on the classic brownie, such as our Chocolate Mint Brownie or Caramel Drizzle. Cupcakes: We create flavor combinations upon request. Small Bites: We customize our small bite assortment to meet the clients specifications. Small bites are a versatile way to incorporate a variety of flavors and preferences. We offer new varieties seasonally and always try to accommodate personal requests. Please call us at 978-223-1045 or click below to tell us a little bit about what you are looking for. Someone will be in touch shortly. Together we will create a dessert menu to meet your needs and budget. Please call us at 978-223-1045 or fill out our form to tell us a little bit about what you are looking for. Someone will be in touch shortly. 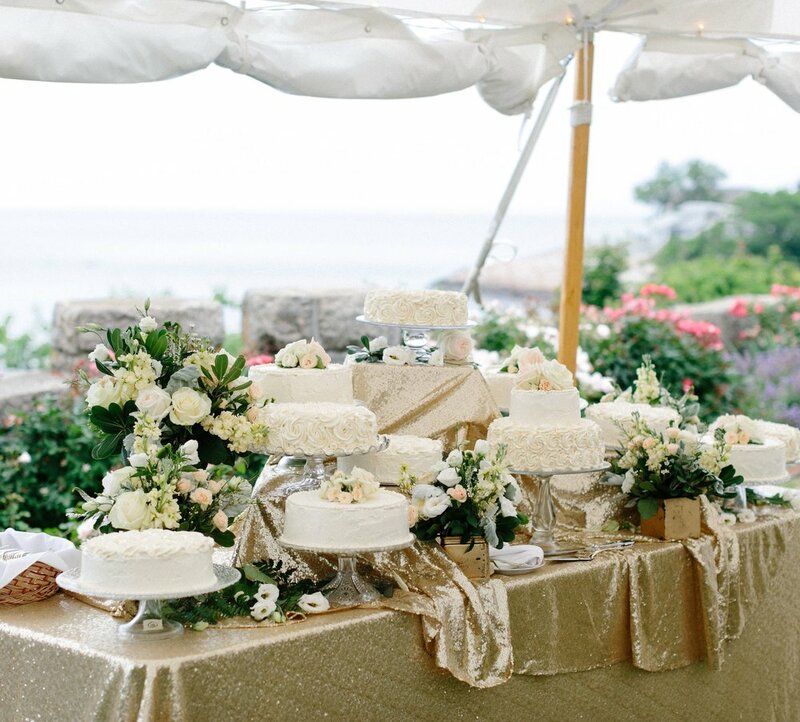 We work with each couple or wedding planner to create the perfect dessert that complements the style and location of each wedding. we've adapted it in a variety of ways to create the perfect wedding display. 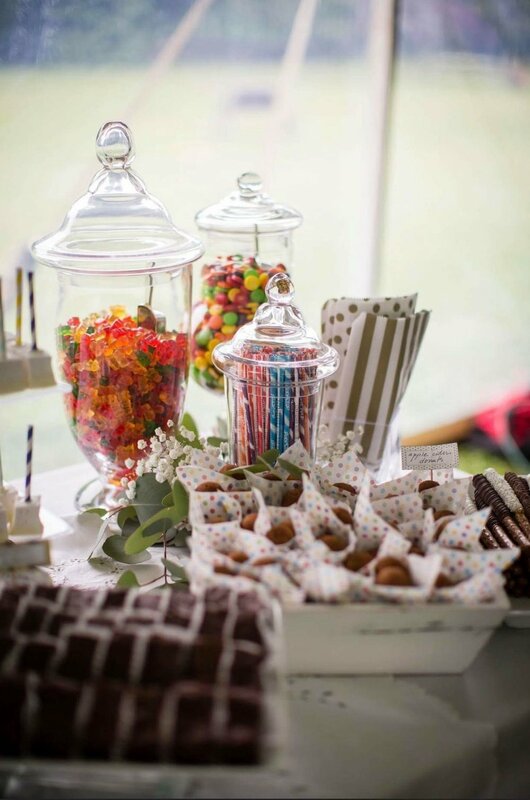 Let's create a confection table to indulge every sweet tooth - the sky's the limit. From candy jars to a dramatic installation of small bites, this colorful display is able to incorporate a tremendous amount of variety. We'll create a gorgeous, whimsical display that won't disappoint. 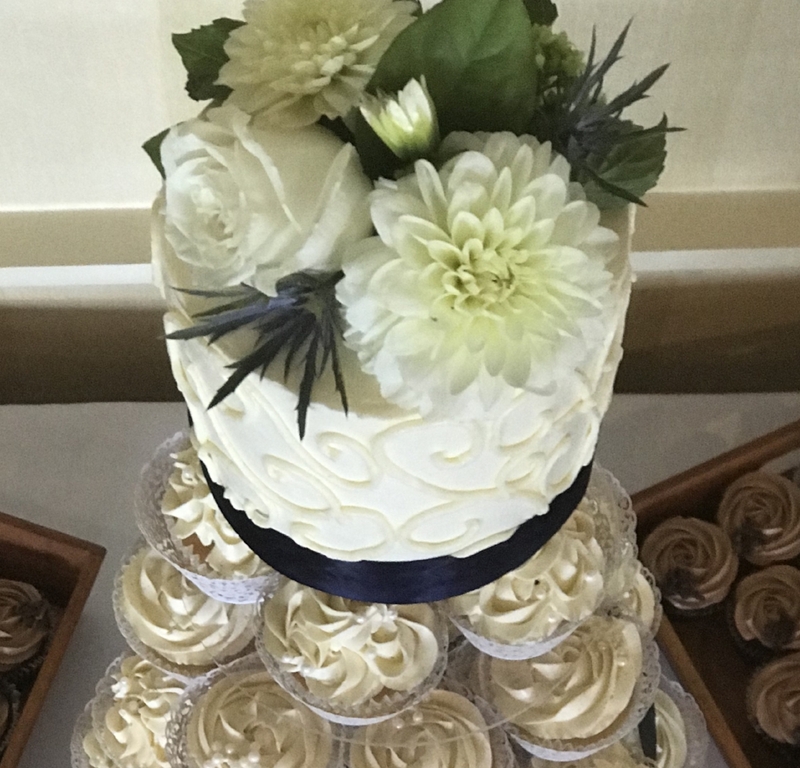 The simply delicious cupcake, elevated to wedding status. 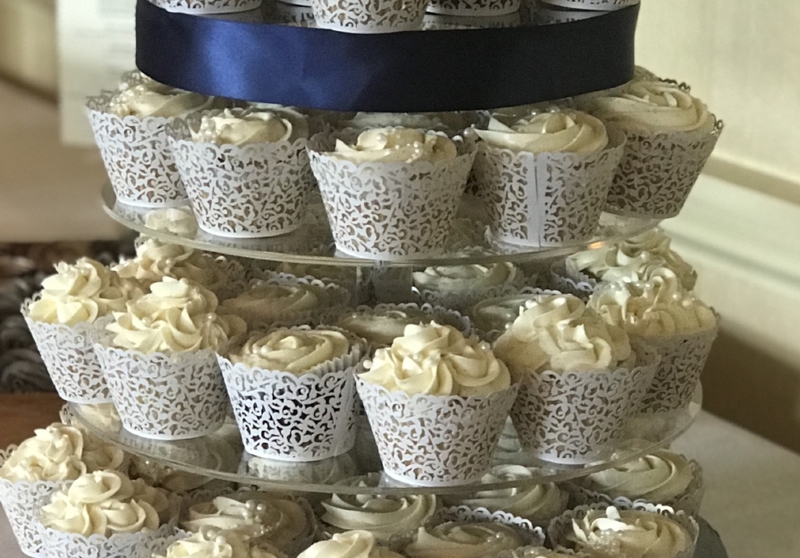 We offer a wide range of flavors - paired with a cutting cake or by themselves, cupcakes create a fun yet elegant dessert display. 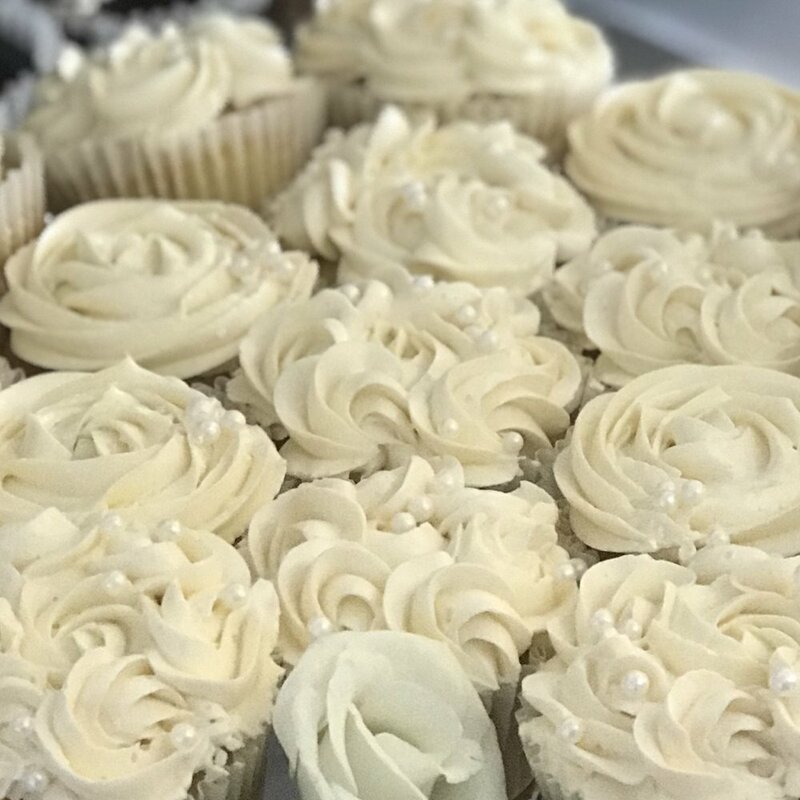 Cupcakes provide ample opportunity to incorporate several flavor combinations as well as accommodate dietary restrictions. There is something for everyone, and the overall effect is lovely. 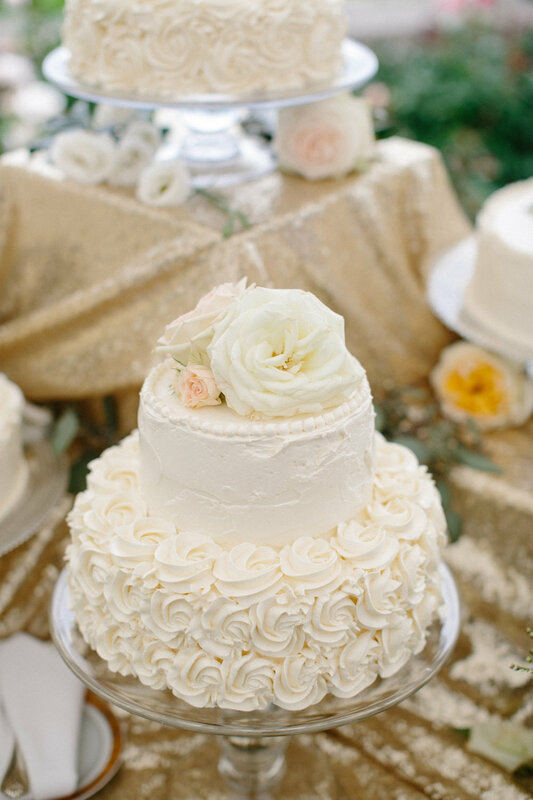 Let's face it, some couples do not want a wedding cake. Don't worry, we've got you covered - create your own unique dessert menu with us. From cake pops to individual strawberry shortcake, we have a wide repertoire. 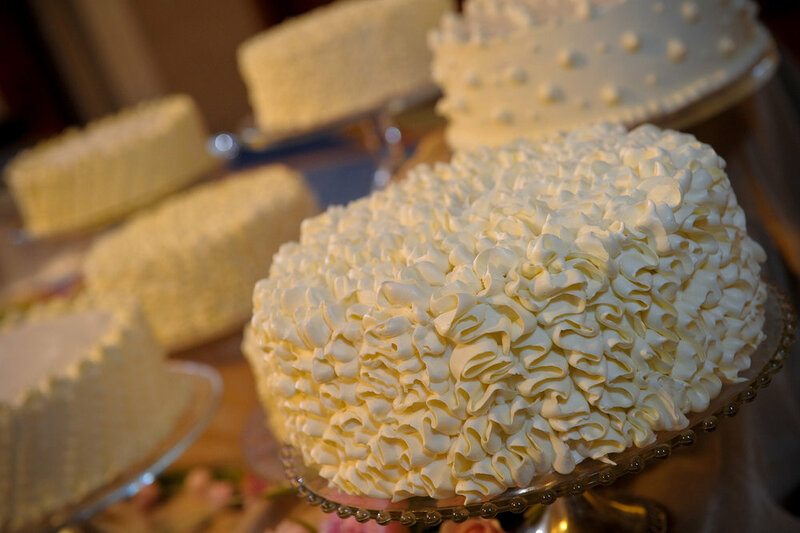 Whether individually plated desserts or buffet-style service we will work with you and your caterer to create the perfect ending to your perfect day. Perfect for a bridal shower or brunch, table favors and guest room goodie baskets. 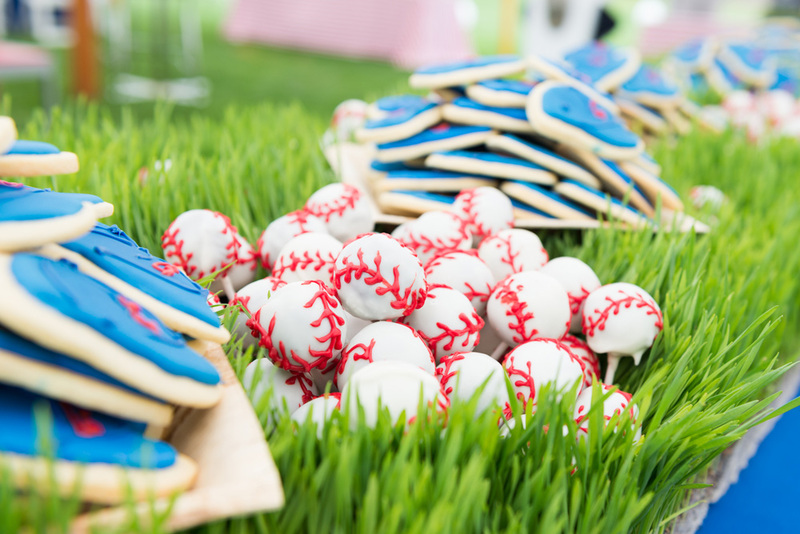 Each of our unique dessert presentations is scalable to accommodate budget and event size. We offer several options to insure a perfect fit to your needs. 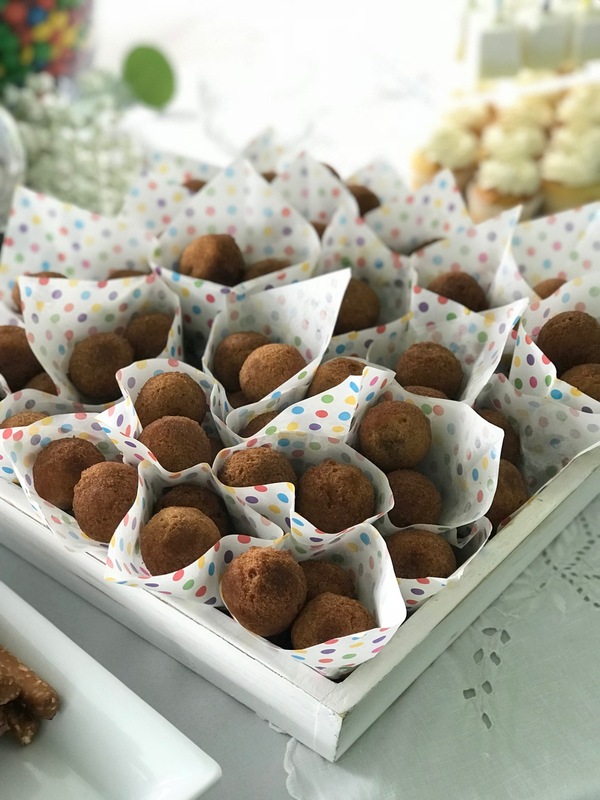 Your caterer may pick up your order at our kitchen, we can deliver to your caterer for a small fee, or we can provide the entire installation service including all required rentals. We'll review all of your options with you. 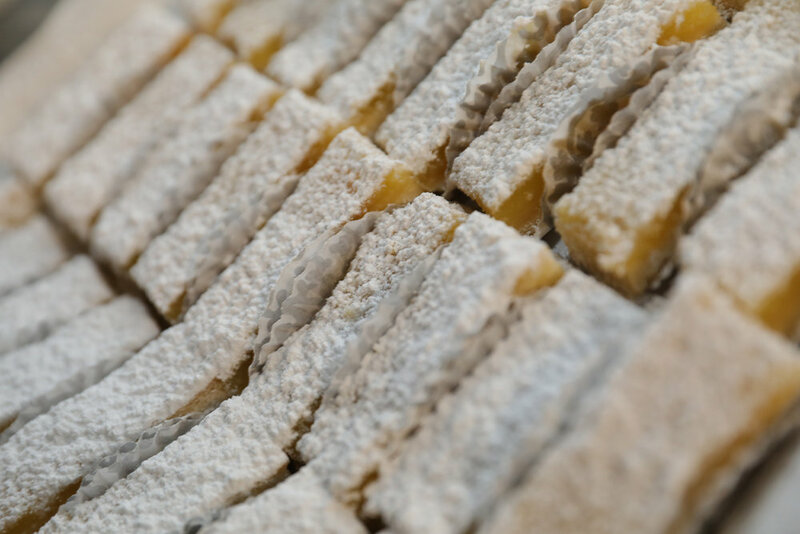 We bake daily a full complement of traditional and gluten-free products for cafes and caterers on the North Shore of Boston and beyond. 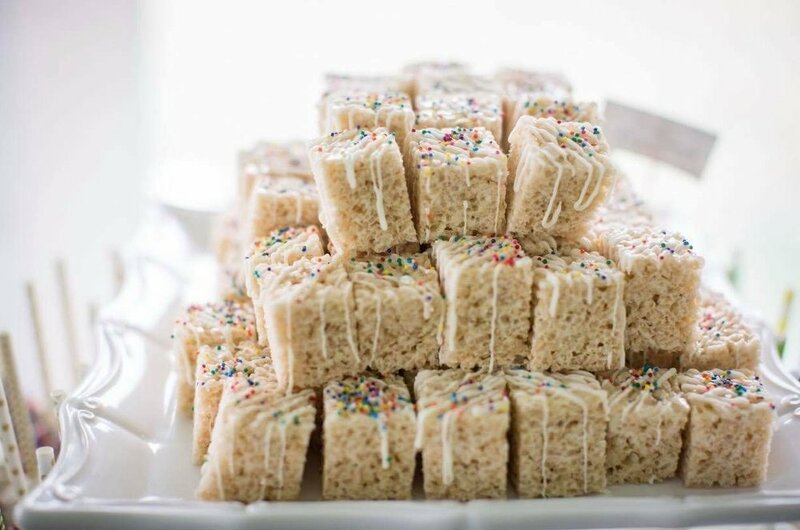 In addition to a steady supply of everyday treat for busy restaurants, we supplement with a wide assortment of specialty desserts for catering and special events. While almost everything we bake is available as a wholesale product, these are some of our most popular items. We accommodate special requests whenever possible. It makes us better. Overnight Oats - Steel cut oats, maple syrup, chia, almond butter, almond milk - gluten & dairy free - Served cold and ready to eat - just add your own fruit. 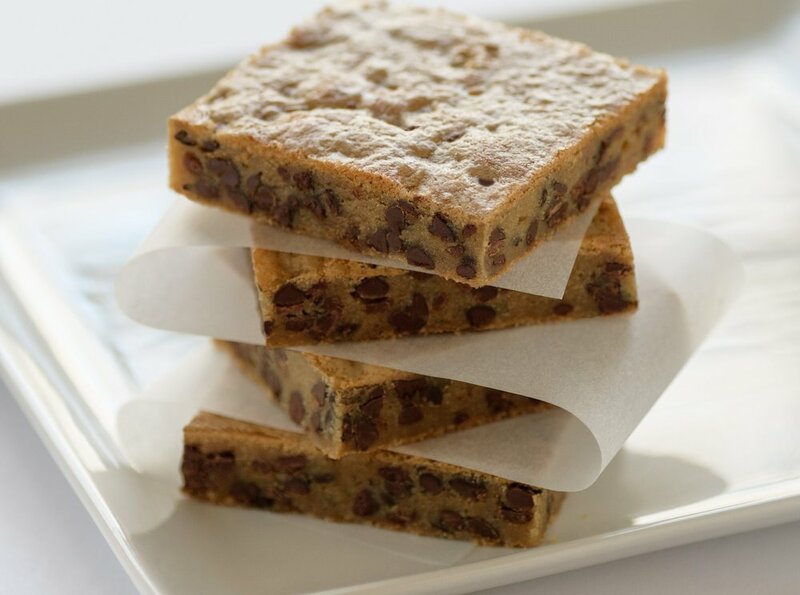 1 dozen minimum per bar, also available as uncut 9x13 pans or as indicated. Chocolate Bundt cake glazed with ganache - available whole or cut and wrapped. We offer raspberry thumbprints year-round in addition to one or two other varieties at a time. 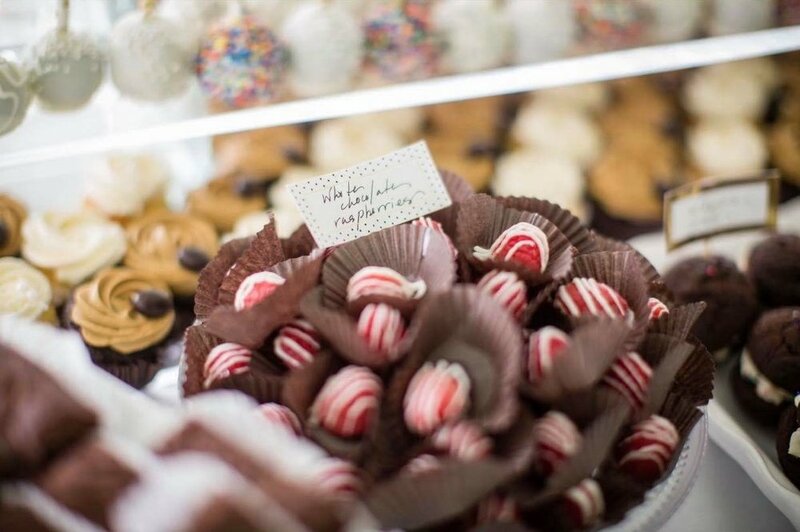 Our standards include: raspberry thumbprints, peanut butter, molasses, chocolate chip, oatmeal chocolate chip, snickerdoodles, double chocolate espresso, lemon crinkles, chocolate mint crinkles, white chocolate/macadamia/toffee, oatmeal raisin - although we accommodate special requests and gluten-free. 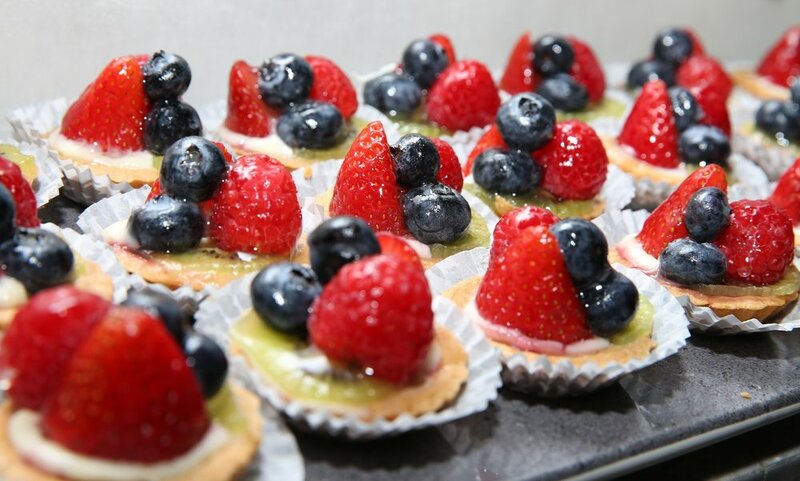 We offer a wide assortment of tarts - 1.5" bite size, 4" dessert size, 9" and 11" full-sized. Some ideas are key lime, chocolate cream, Tart au Citron, fruit tart, banana cream. See our 'Small Bites' menu for more options. We love to create personalized tarts to suit every special request - if you require a gluten-free tart, please ask and we will price it for you. 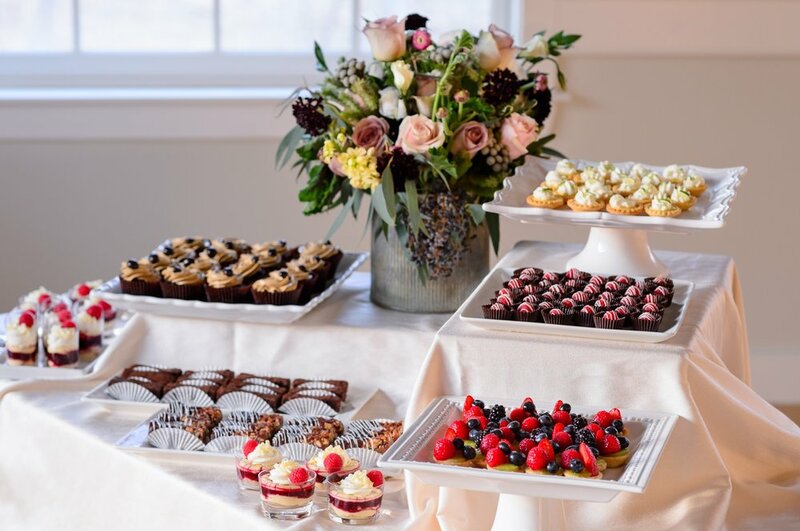 For catering needs, we also have a broad menu of dessert assortments and small bites - priced upon request. Please see Small Bites menu for more options. Family style and individually plated desserts are priced upon request. We offer a wide range that accommodate many dietary restrictions - please ask! Please call us at 978-223-1045 or click here to tell us a little bit about what you are looking for. Someone will be in touch shortly. We request two week notice for our every-day menu and two week notice for special events. Sometimes that's just not possible - give us a call, we'll always do our best to accommodate last minute requests. For standing orders, we request a one-week notification on a change or cancellation.